The basic idea of VR Ring is the presentation of the gallery in virtual reality. Moreover, exhibits may be different. This is a unique opportunity to show your work to the public in such an interesting format. 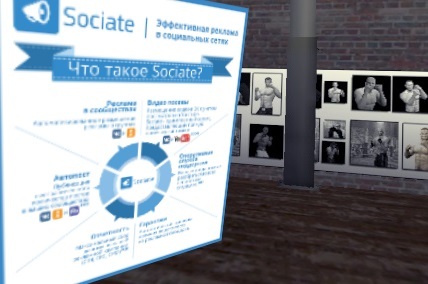 VR Ring has already been appreciated by the audience at the event of our customer, the company Sociate, which mentioned that "VR Ring is a great anchor to stand." The demonstration of VR Ring adds a game component and is a great way to attract attention to your stand at conferences, to presentations of your works or pictures. 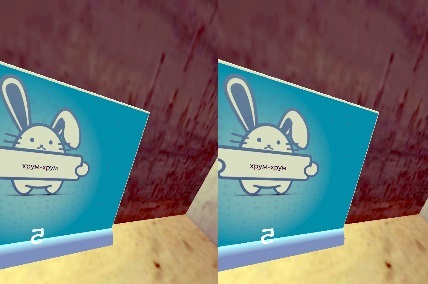 The basic idea of VR Ring is the presentation of the gallery in virtual reality. Moreover, exhibits may be different. This is a unique opportunity to show your work to the public in such an interesting format at conferences, exhibitions or other events. Demonstration of VR Ring adds a game component and is a great way to attract attention to your stand. The development was carried out under the popular Android platform, using the VR Case. It was necessary to design the room in virtual reality and to provide the possibility of movement on it. There are provided such events as motion start, stop, and when passing by the exhibit the attraction to it for more detailed consideration.